You can make a case many political consultants are a little weak on understanding today's digital age, and how we consume information. Need proof? Check out the spam filter on your personal email address. High chance there's several high profile campaigns soliciting donations that you probably never read. That's a waste of money and time. There's a reason those messages go to spam. Having an SEO background, a good grasp on politics, including how political campaigns operate, a 52% to 48% election is often seen as a squeaker that likely could have gone the opposite way with a few adjustments. A huge relief for the victor, and frustrating second guessing for the loser. A definitive victory is often a 55% - 45% split and a blowout > 60%. What's interesting about BREXIT is that it was a coin flip with a short timeline. 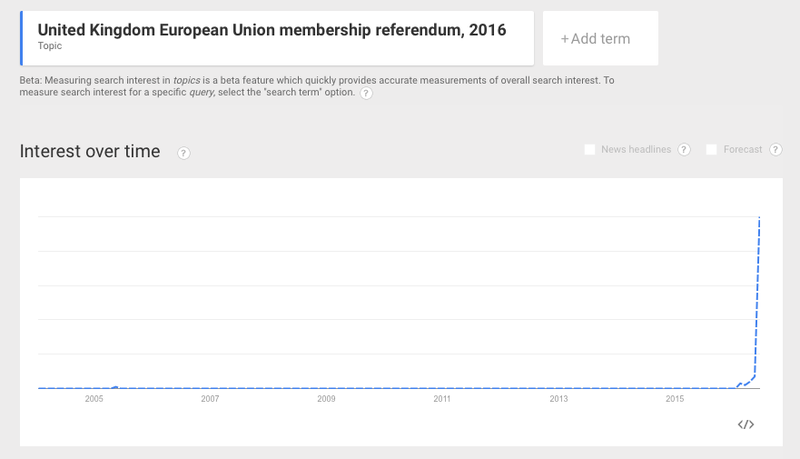 Above: Google search volume trending “BREXIT.” The BREXIT revolution came quick. 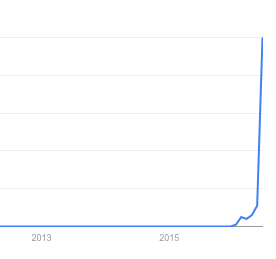 In 2016 there was an initial spike in interest, then a cooling, and a massive surge after the election. The vote passed 52% - 48%. As a millennial, this is one of the biggest events in my lifetime. Potentially a distant second to the Berlin Wall falling. 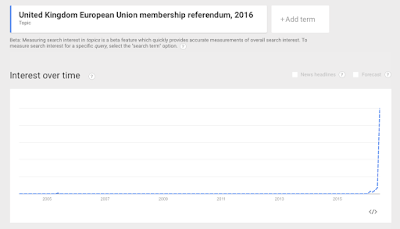 Further alarming how radical a change this was with how little people researched the topic with topical search volume coming in so late, and continued growth happening after the vote. Make a few adjustments to your messaging strategy, and it's interesting to ponder if the initial election was held two weeks from now would it be a larger victory to decide to leave the EU. It did appear to trending up with support. Equally, looking at all that Google search traffic, are there enough people that might regret not voting, or went into the ballot box under-informed and would switch a past "no" vote to "yes" or a "yes" vote to "no." We seem to live in very polarizing times. These 52-48 election scenarios are all too frequent in the USA as well. As long as victories can be 50% + 1 vote, the race to win the middle swing vote becomes obvious. Moving forward the need to max out technology and meta data analysis will become greater, both to get a temperature of who potential supporters are, what their degree of passion / support is, and ensuring they follow through to make it to the ballot box. The challenge will be for short term campaigns is getting a complex deployment online is a short period of time. To do this right system integrations take time, and campaigns rarely have the luxury of long term staffers, they often look more like seasonal Christmas help at a retail store. Closing the gap to onboard a new campaign, and hedge against employees that are newer, but lack experience will be essential. To do this expect campaigns to implement more automation, both in operations, and in messaging where meta data powers dynamic content. These shifts will become increasingly important in coming election cycles. They need to be. If you're on the wrong end of a 52-48 election you don't want to answer why these things were not implemented or implemented sooner.